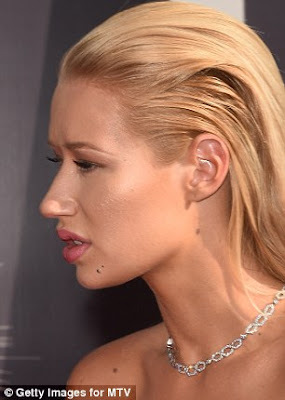 Rapper Iggy Azalea is clapping back at those who are being critical of her cosmetic surgery. Months after ending speculation about her changing appearance by confirming she underwent the cosmetic procedure, the Australian rapper is reflecting on the overall perception of cosmetic surgery in an interview with the current issue of Elle Canada. 'But for how long do we have to acknowledge that I got a nose job? For the rest of my life? Am I going to be 45 and people are still saying "Nice nose job"?, she continued.